Huawei’s sub brand Honor has just launched the bezel-less Honor 9i in India at an extremely competitive price of Rs 17,999. The Honor 9i is Honor’s first four camera smartphone and comes with an all metal body, fairly powerful specifications for the price, an edge-to-edge display and Android 7.0 Nougat. The Honor 9i is extremely different from the Honor 9 which was launched in China in June. In fact, the smartphone is very similar to the Huawei Nova 2i which was launched in Malaysia just a few days ago and the Huawei Maimang 6 which made its way to Chinese shores last month. The Honor 9i is set to go on sale from 14 October onward exclusively via Flipkart. 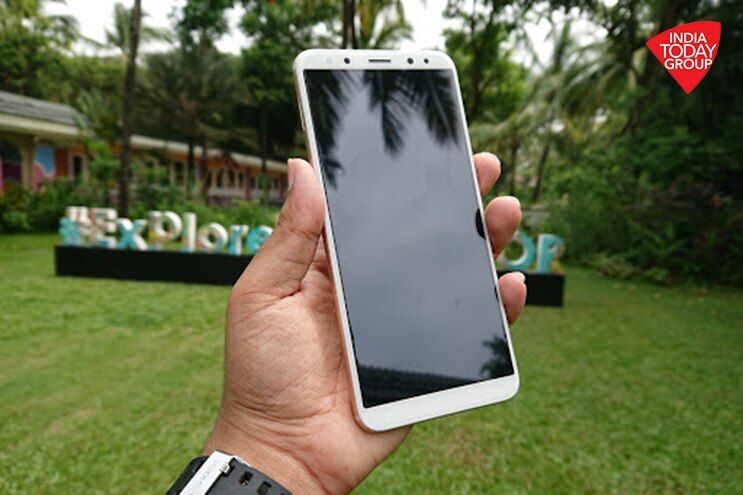 With the phone, Huawei aims to compete with the likes of the Moto G5s Plus , Nokia 6 , Xiaomi Mi A1 and the recently launched LG Q6+ which also comes with a bezel-less design. The Honor 9i features a bezel-less design with an edge-to-edge screen and a screen to body ratio of 83 per cent. Thanks to the metal unibody design, matte back and minimal bezels, the smartphone looks quite premium and futuristic. The rounded corners, curved edges and 2.5D glass on front aid in-hand feel and help reduce the bulk of the smartphone. The build quality is also top notch – with no creaks or rattles to be found. The internals of the Honor 9i pack quite a punch for its price – it is powered by Huawei’s own HiSilicon Kirin 659 chipset paired with 4GB of RAM and a 3,340mAh battery. Honor claims that the smartphone can deliver up to 20 hours of talk time, 9 hours of video playback and 7 hours of gaming on a single charge. The smartphone comes with 64GB of internal storage which can be expanded via a microSD card (up to 256GB). The smartphone comes with a rear mounted fingerprint scanner and runs on Android 7.0 Nougat out of the box with Huawei’s custom EMUI 5.1 skin on top. The Honor 9i comes with a 5.9-inch FullHD+ edge-to-edge display with an 18:9 aspect ratio. Huawei claims that the minimal bezels allow them to fit a 5.9-inch display into what is effectively a 5.5-inch smartphone form factor. The ‘FullView’ display has a resolution of 2160 x 1080 and is covered by 2.5D glass which not only looks premium but enhances in-hand feel. Thanks to the lack of bezels, content looks gorgeous on the display and seems to flow from one edge to the other. The top and bottom bezels however are not as small as those on the LG G6 or the Samsung Galaxy S8. The Honor 9i supports 4G VoLTE, dual-band Wi-Fi 802.11 a/b/g/n/ac, GPS/A-GPS and GLONASS. It comes with a microUSb port for charging and data transfer and a 3.5mm headphone jack which is fast becoming a rarity in today’s smartphones. The lack of USB Type C in 2017 is rather disappointing. The Honor 9 comes with a hybrid SIM slot – which is a little disappointing. This means that you can use two SIM cards at once or one SIM card and a micro SD card. Want to expand the internal storage whilst using both your SIMs? Well, you are out of luck. Just like the Honor 8 Pro, the Honor 9i comes with a dual camera setup at the rear that allows for the capture of images with depth of field effects. While the Honor 8 Pro comes with a dual 12MP arrangement, the Honor 9i has two 16MP cameras at the back. There are a few nifty imaging tricks on offer – you can set the focus point even after you have taken an image and you can choose from a wide variety of pre-loaded photo effects. Other features on board include time-lapse, light painting, slow motion video capture and panorama. There is also a fully featured Pro mode which allows you to tinker with the ISO, exposure, shutter speed and so on. Where the Honor 9i differs from the more expensive Honor 8 Pro is the fact that it comes with a dual camera setup at the front as well – two 13MP sensors which allow for the capture of images with depth of field effects. Huawei has also included a feature called ‘smart selfie toning flash’ which intelligently adjusts the brightness level of the front facing flash in accordance with the surroundings. To top it all off, you can also take selfies via gestures for those instances where it becomes tough to reach the shutter button whilst executing a difficult pose. The Honor 9i has some features geared towards audio enthusiasts. According to Huawei, the Honor 9i features the proprietary Huawei Histen audio system from its 2012 Lab, which uses six algorithms to ensure music and movies sound pristine. The smartphone also comes with support for Bluetooth aptX which allows for better audio quality and synchronisation whilst using Bluetooth headphones/speakers. Huawei has been working hard as of late to streamline its Android skin. EMUI 5.1 intelligently optimises user experience by learning and predicting user behavior, There are also a few new nifty software features on board such a native application lock, knuckle based gestures such as drawing as S with your knuckles to take a scrolling screenshot, a glove mode and so on. The Honor 9i has been priced in India at Rs 17,999. The smartphone will go on sale from October 14 onward exclusively via online e-commerce giant Flipkart. It is available in the following colour options – Graphite Black, Prestige Gold and Aurora Blue.